Meet our shining new Star! Be one of our first guests to experience the brightest star in the Sunscape collection. All new. All ocean view. All Unlimited-Fun®! Book your stay by June 25, 2019 and travel starting from our opening on November 1, 2019 through June 25, 2020. You’ll receive your 4th night free when booking a minimum of 4 nights, plus a welcome in room amenity. Rates start from $139 USD per person, per night. Already booked? Explore more about Sunscape Star here. 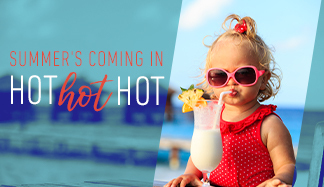 The Sunscape Star Cancun Pre-Opening Offer is valid on all new reservations at Sunscape Star Cancun Resort & Spa from now to June 25, 2019 for travel from November 1, 2019 to June 25, 2020. Rates starting from $139 per person, plus receive a welcome in room amenity, $200 in Resort Coupons and 4th night free when booking a minimum 4-night stay. Starting rate is valid only in select room categories and is not reflective of the rate for the entire travel period. Starting rate is based on double occupancy for land-only reservations. Entire promotion can be modified or closed at any time. Blackout dates and holiday restrictions may apply. Offer not applicable to 3G, Groups, Deal of the Day rooms or Presidential Suite. May not be combinable with other discounts or offers. Rollbacks are not permitted. 4th Night Free savings are reflected directly in the price when you book, if applicable.